I spent some time at Second Life’s 10th Birthday fairgrounds this morning. There was nowhere near the number of people there, less than fifty I counted. I wanted to get some photos of places I hadn’t photographed already. I played around with several setting and found the Derender/Temp feature to be very useful in focusing on the elements I wanted in my shots. This giant cake is built at the corners of four regions. It is an amazing build and breathtaking to experience. Second Life New England had another warm, imaginative exhibit. and it’s proximity to the Blake Sea. SL10B has been a powerful experience for me. For one thing, it has helped me understand just what Second Life can be, but also what it isn’t. In the past, some of my frustrations with SL have been a factor of expectation. I’m going to explore my takeaway from this grand event in the coming days. But in a few hours we’ll have the closing ceremony! There’ll be fireworks and stuff, so I’ll be there. 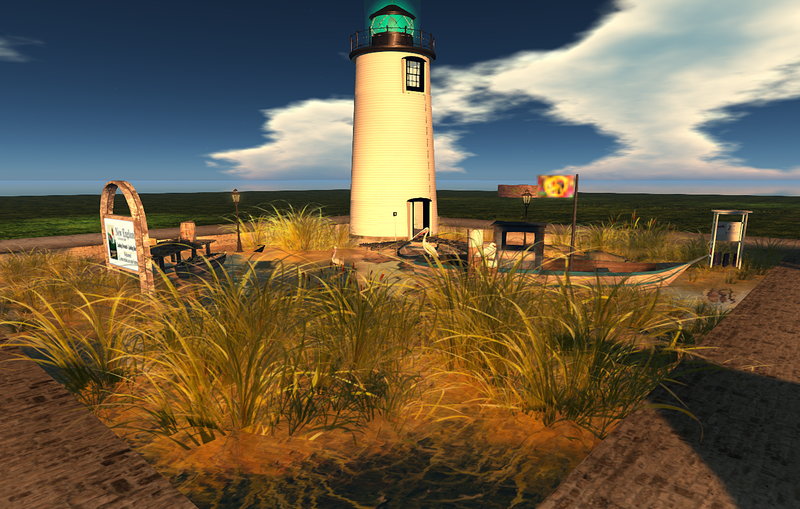 We are at the beginning of a new decade for Second Life and that’s pretty amazing. 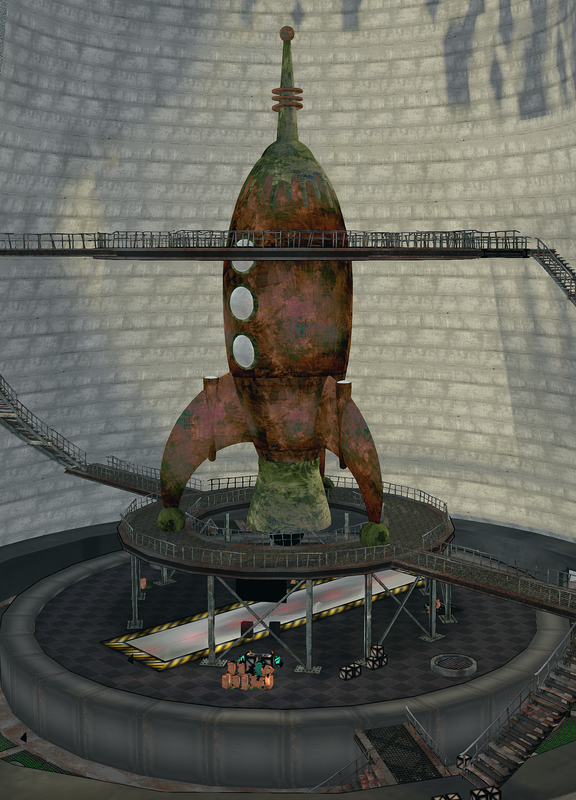 Luv’d this steampunky rocket @ Awesome. I peeled away the walls housing it using Derender. 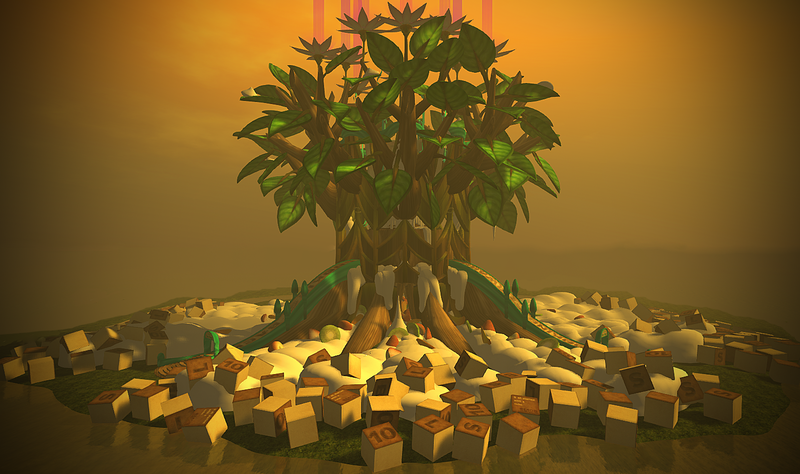 This entry was posted in Events and tagged Community, Events, Linden Lab, Photography, Second Life, SL10B, Socialite. Bookmark the permalink. There were quite a few things I found wrong with SL10B but I’m really appreciative that I took the time to check it out and blog about it. I’ve mostly reminded myself of the diversity of people behind the avatars and what they want to create and express. And it does give me hope that Second Life will continue to carry on. I think that was one of my main takeaways too. It was truly an expression of the vast diversity of people in Second Life. It is a good thing even though it seemed rather chaotic at times. I’m behind schedule, but managed to spend a few minutes on three separate days to look around and grab some photos while I hurried to see as much in the time I had. I plan to post them to my blog later on my blog.